It is very rare to have public holidays in Singapore (as compared to Malaysia, our country has most public holidays in the world). 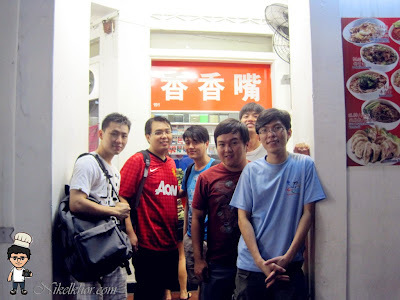 So I decided to grab the opportunity to meet my fellow friends, this Xiang Xiang Zui at Chinatown is recommended by my friends, and I was told that this is the usual place for their gathering. Chinatown is known as 牛车水 (literally "bull cart water") in Chinese, because water supply in Chinatown was principally transported animal driven carts in 19th century. Chinatown is also a district which retains Chinese significant historical and cultural significance. I came here with the hope to taste good Chinese and oriental food. This area is their place of interest for meal during weekdays, they are too kind to share with me this good place. There is a row of Chinese restaurants where most of them are very crowded with customers, hardly get a good seat if you are late comers like us, we finally got our seat at back alley. 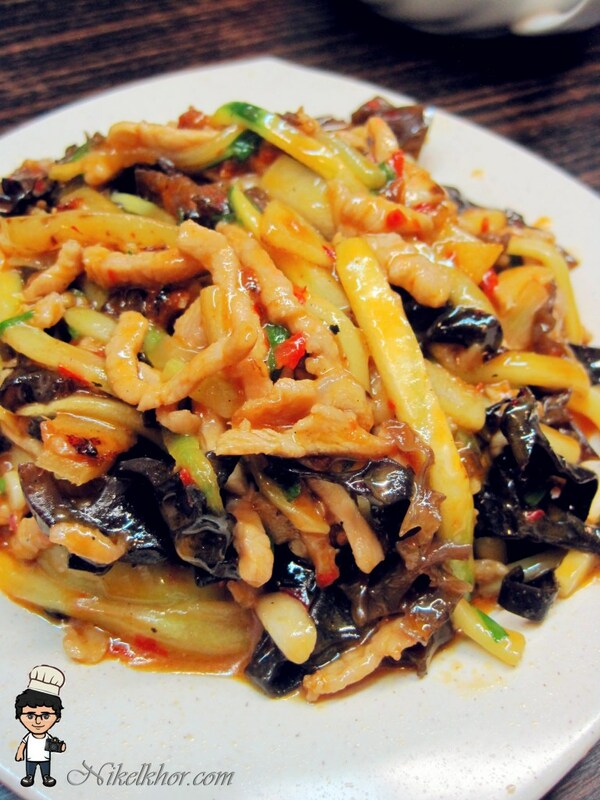 Xiang Xiang Zui is specialized in serving authentic SzeChuan and GuangDong dishes. It sounds hot and spicy indeed! Our dinner tonight started with this dry pot chicken. 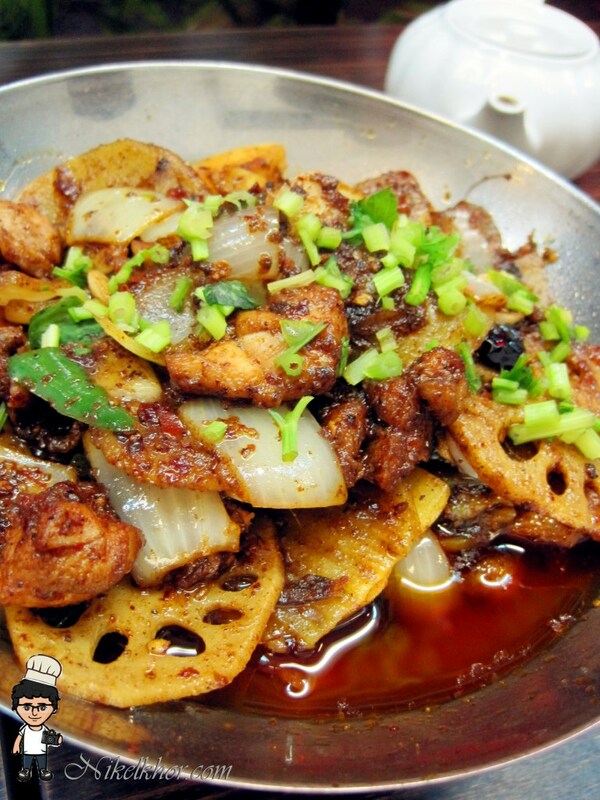 Chicken dices are stir-fried with onion, lotus root slices and chilies paste. A very appetizing dish to go with white rice, the hot red colour definitely makes me drooling, really impatient to start my dinner! I especially like the lotus root slices which added some crunch and refreshing element to the dish. Another spicy dish came after dry pot chicken. Every things are shredded, its presentation is not too outstanding, but the colours from the ingredients are very inviting. 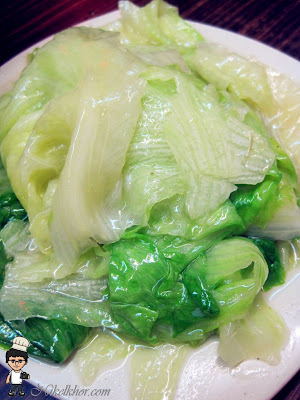 I found the dishes offered by this restaurant are all very nutrient balanced, every meat dishes are paired with some vegetables, it fulfills Singaporean health requirement. 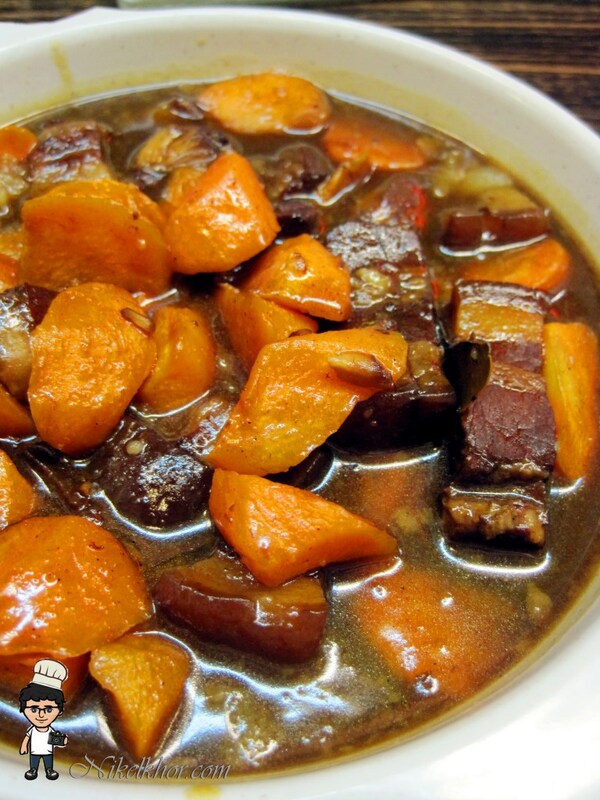 Pork belly is braised with potatoes, Despite there is a layer of oil on the surface, it is not really oily when I have a chunk of the pork belly, it is quite well cooked as the pork belly is smooth, soft and tender. Good matched with potatoes to reduce the grease. After the heavy meat dish, here is a portion of green to refresh my taste bud. And not to forget to order a very simple home-cooked dish for us who are far away from home and craving for home-taste. 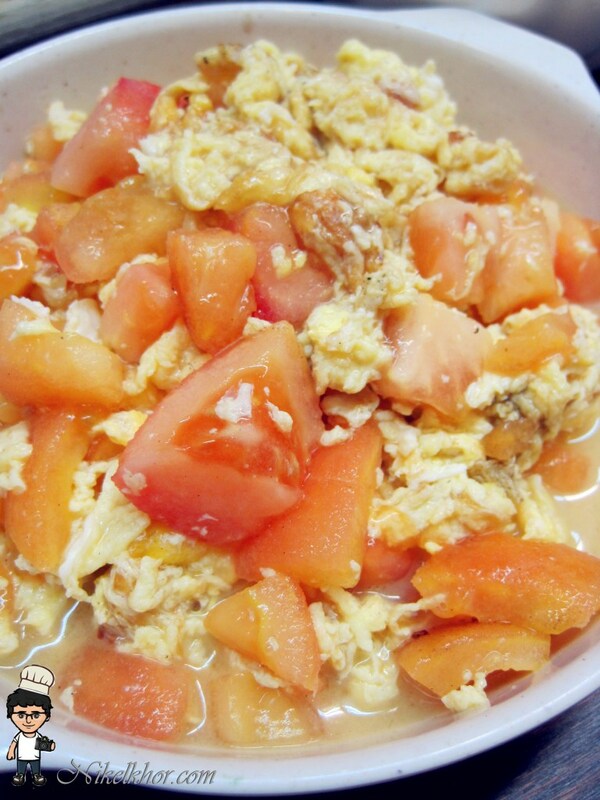 I prefer the tomato to be mashed a little bit for the egg to absorb the sweetness and sourness from the tomatoes. Anyway, this is sufficient to compensate my feeling of home sick. Last but not least, we had a simple soup. Seaweed and egg soup is always my childhood favourite, which I can have a few bowl continuously. 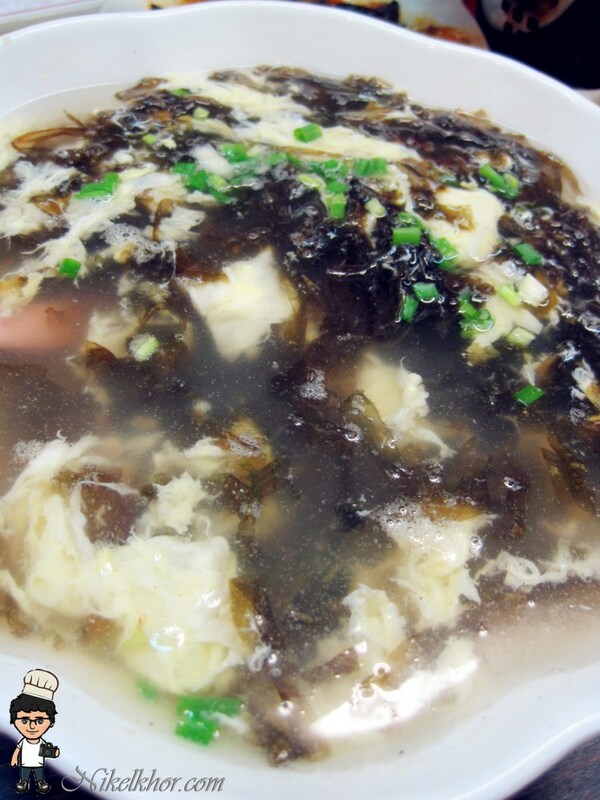 As cooking seaweed and egg soup does not require special skill, this soup is too common and nothing much to mention. Conclusion, the food we order on that night was quite satisfying, but it would be better if the portion can be more decent We decide to have another round at another restaurant which my friends claimed that there are cheaper and nicer food there, and I will be pampered with more choices. The seaweed soup and tomato egg look very comforting! @missyblurkit DOnt be surprise, Is very simple home cooked dish! Always a pleasure to read your posts!Somethimes I sell runescape accounts to enjoy more fun.